We will collect you from your Auckland hotel/motel in an up-market fully air-condition touring vehicle. 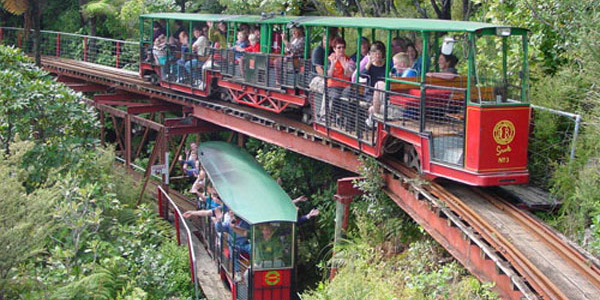 Leave behind the hussle and bussle of our largest city and pass through the beauty of rural New Zealand as we head towards this truly unique part of our country. 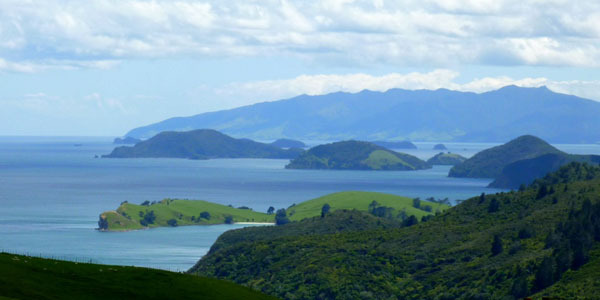 Explore Coromandel-its mountainous forest-covered backbone.sheltered bays and stunning coastlines make it the place where New Zealanders love to Holiday. 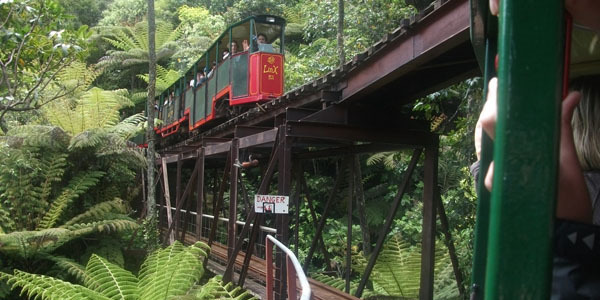 Ride the Driving Creek Railway – an hour long train trip through replanted native Kauri Forest which includes 2 spirals,3 short tunnels 5 reversing points and several large viaducts as it climbs its way up the mountain top terminus called the Eyeful Tower.This handsome building offers fantastic panoramic views out over the island studded Hauraki Gulf with the forested valley & Mountains behind.You will also be able to tour the pottery complex and craft shop. Dig a hole at Hot Water Beach – where geothermal heated water bubbles up through the sand.At low tide you can sit in your own spa. Hug an 800 yearold tree – if you can. See Cathadral Cove – where the sea washes through a natural arch onto a white beach. 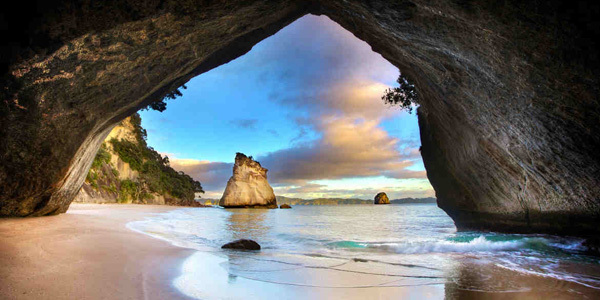 ( At Cathedral Cove you have the option for a scenic walk of 3km . We return you to your Auckland accommodation. 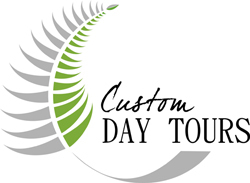 Cost for private tour is $460 nz per person.